We will be posting entries that we have requested from people that are participating in this challenge throughout these 40 days. This is our first one from an anonymous person. I hope it is an encouragement to you. Lord, I’m fearful, I’m anxious, I’m depressed. I’m worried about both getting a job and finding a job. I worry equally about the smallest things like my schedule and big things like a friend’s sister in ICU. I feel helpless at times when it comes to my marriage, my ministry, and life in general. 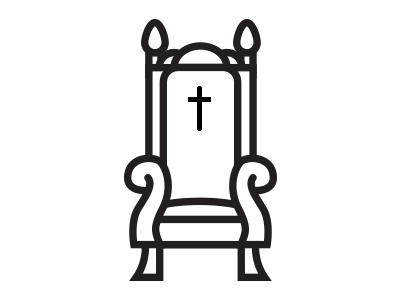 I know you are on the throne but as all of the readers of the Bible need to heat it, so do I (today and probably everyday). I know you are working your will into my life and it’s hard, it feels like dying. I feel like a failure although I’m probably just mourning the loss of my will. I know you will protect me; I just don’t always see you working. I have absolutely no evidence of your unfaithfulness. You have always been faithful. You can’t not be faithful. I don’t know how to pray – I ask for a closer walk with You during these 40 days and I ask that it be a blessing to others. In Jesus’ very precious name. Amen. Journaling: Don’t Give Up by Westchester Men’s Ministry is licensed under a Creative Commons Attribution-NonCommercial-NoDerivs 3.0 Unported License. Based on a work at https://nymensministry.com/2012/11/15/journaling-dont-give-up/. « 40 Day Journey Begins!